Do you want to know one of my favorite programs of all time? Yup, it’s VirutalBox. That’s because VirtualBox let’s me play with Mac OS X, Linux, Windows Server and almost any operating system for free. But that’s not the best part. I can quickly spin up a Windows XP virtual machine, boot it up and create a Kali Linux virtual machine. Then I can juice up a virtual network topology in GNS3 and join both virtual machines to the network. I can utterly destroy my Windows XP box using penetration tools such as metasploit and other malware. I can hurl a million attacks against my XP box with zero fear of hurting my real PC or infecting any other PC on my network. I’ve actually setup complete Windows Server 2012 Active Directory environments in Virtualbox replete with domain joined clients and virtual firewalls. I’ve tested Windows 10 before it was released without any fear of breaking my real system. I’ve hacked the hell out of computers, purposely infected PCs with viruses andanalyzed packets between virtual equipment. And I did it all with Virtualbox. It’s that cool. And it’s free. It doesn’t cost a dime. Let me show you how to setup this georgeous program. 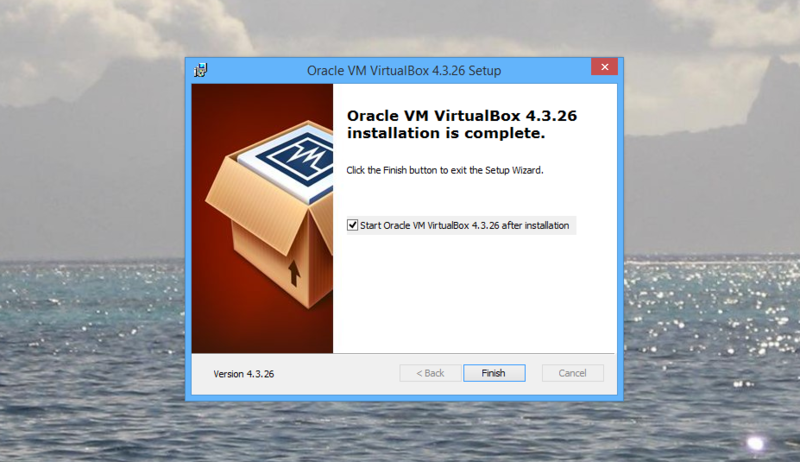 Virtualbox is supported in every version of Windows. It works in every flavor of Mac OS X and almost every spawn of Linux. It’s super fast and once I show you all the settings you can tweak with your virtual machines, you’ll be hooked. I promise you’ll be hooked. 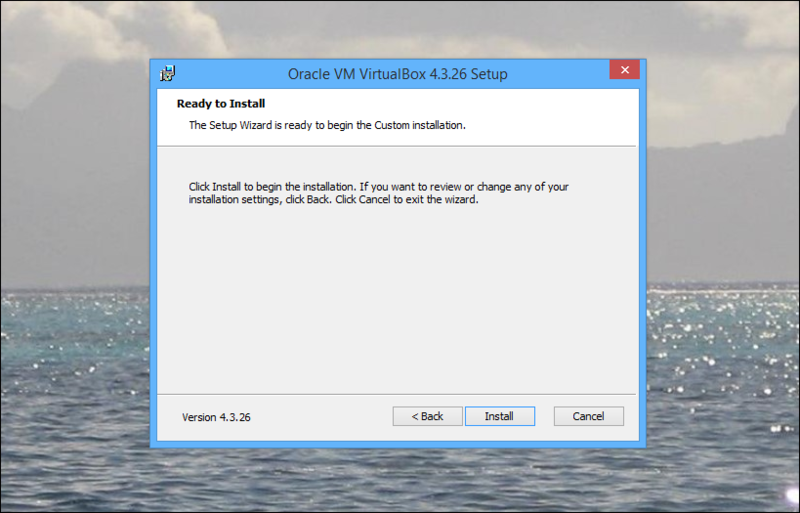 To get started,we need to download Virtualbox. 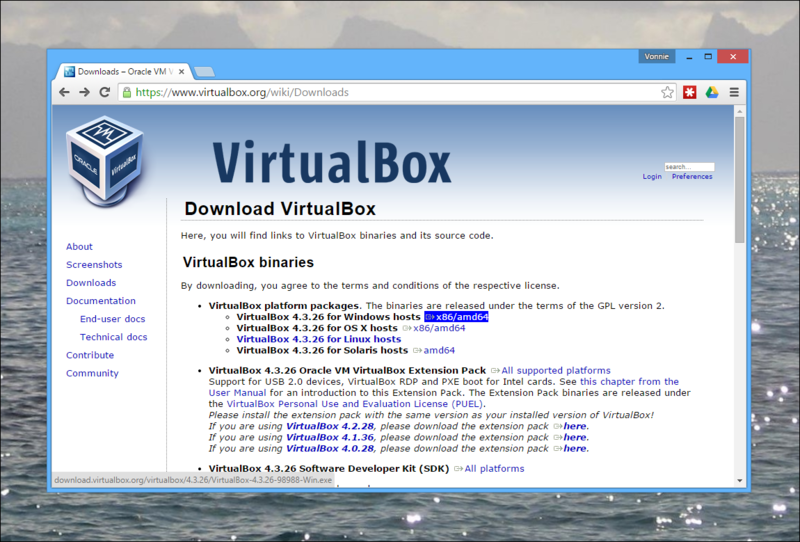 Grab the latest Virtualbox package from https://www.virtualbox.org/wiki/Downloads. The last I checked the executable is about a 100MBs. Crack open the executable and get started baby! 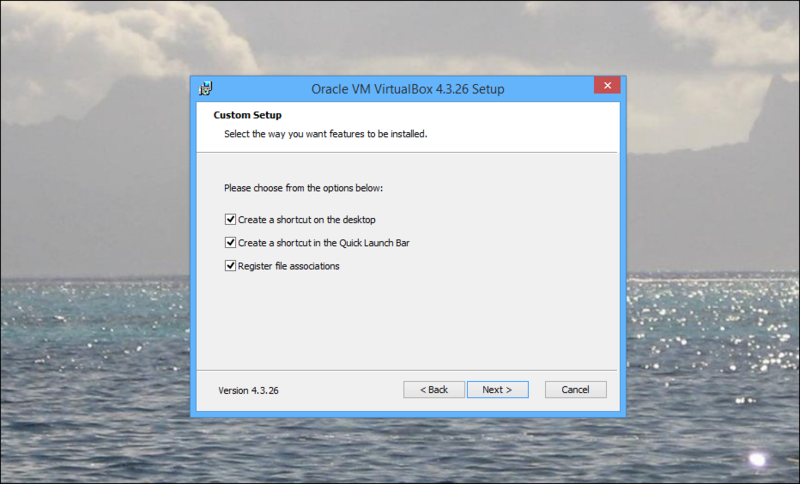 The next screen lets you select which VirtualBox features you want to install. Keep the defaults to install everything. You’ll get USB support which means you can grant the guest OS (the virtual machine) access to files on the physical USB drive plugged into your host OS (your real machine). 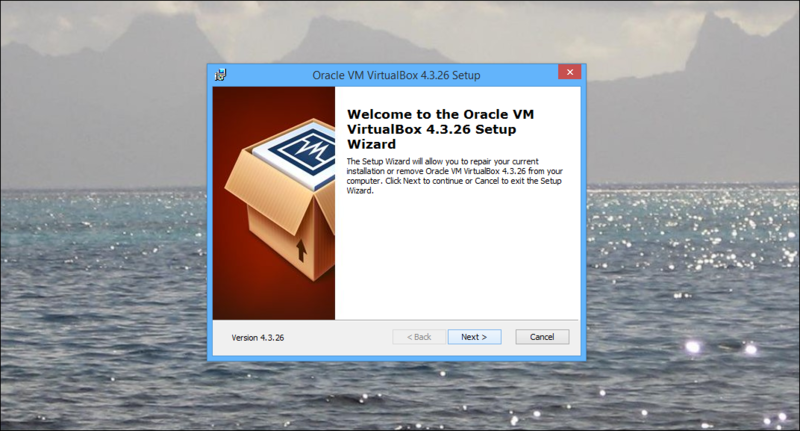 You’ll also get VirtualBox networking which is key for creating isolated labs. If you click the little Disk Usage button near the bottom left corner of the the installation Window, you’ll see how much space you’ll need but it’s not much. 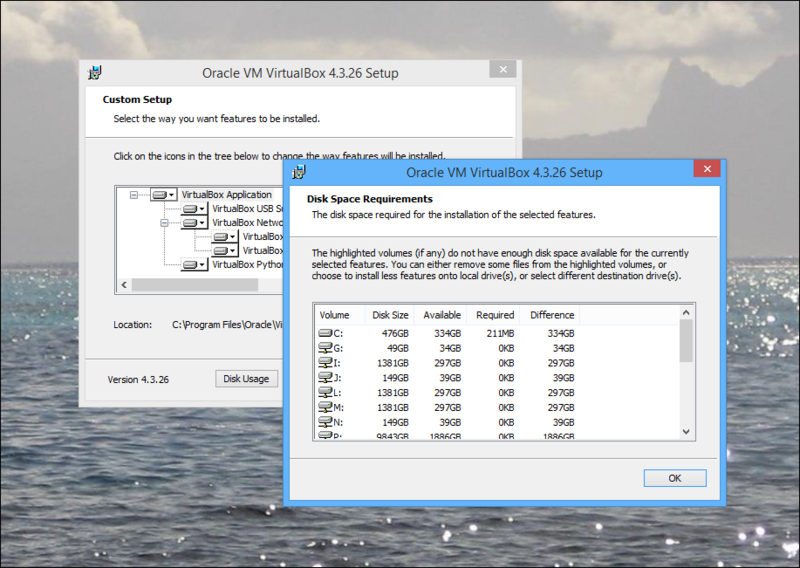 For example, VirtualBox currently only requires 200MBs of disk space. Let’s get going! 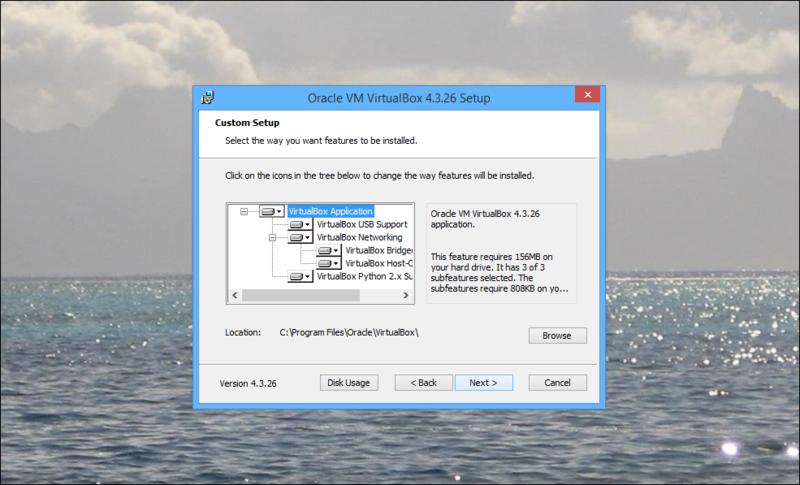 Click next and accept the default Virtualbox features. The installer is going to beg you to create a desktop shortcut, taskbar icon and file associations. Ah, what the heck, give it what it wants and click Next. Oh no! What’s going on! Don’t worry. It’s all good. 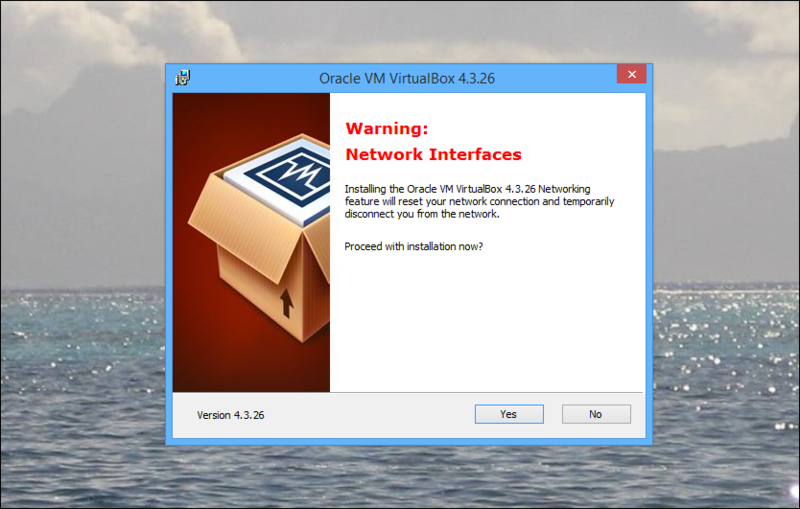 Virtualbox is just telling you that it’s going to need to temporarily stop all network activity while it installs your virtual network adapters. So if you have any downloads going on you might want to finish those before going forward. By the way, it’s these virtual network adapters that let you create insular virtual networks. They are completely distinct from your real Wi-Fi and Ethernet adapters and let you do a bunch of cool stuff. Just sit back and marvel. Now you can start creating your virtual playground. As you can see I’ve been playing around with a few VMs. Xubuntu Linux is awesome by the way. To get started with your Virtual Machines, click the blue spikey New button or press Ctrl + n.
This is where you can name your Virtual Machine and specify what kind of VM it is. To be honest, it doesn’t really matter if you click Linux or Windows. If you see your type in the list, pick it, otherwise don’t worry about it. The type and version just sets up default values for your virtual machine which you can always tune later. The Memory size section is pretty important though. This tells Virtualbox how much of your physical RAM you want to apportion to your virtual machine. The more RAM you give the Guest OS the fastser it’ll run but the perofmrance of your Host machine will suffer. So if you only have 8 GBs of RAM and plan to run two Virtual MAchines at the same time you don’t wan’t to assign 4GBs for each machine. I’ve actually found that most VM’s will run just fine with memory levels a little below the minimum requirements. For example, I have no problem running Windows 8.1 and Windows Server 2012 with 1024MB of memory. Click next to create your Virtual Hard Drive. This is where you reserve a portion of hard drive space on your real computer to your virtual machine. I usually always keep it set to Dynamically allocated that way VirtualBox can automatically grow the size of the disk as needed. It’ll take a few minutes for the Virtual Machine to build the hard drive but after that you should see all your Virtual Machines. If you select it and press Ctrl + s (or click Settings) you’ll see a bunch of juicy options. So now that you’re ready how do you actually install your operating systems? You need to provide your own OS images. There are ways to legally download every copy of Windows so this should be to hard. Also you can download the ISO from any copy of Linux for free. Once you grab the OS image, go to Settings and click on Storage in the left pane. 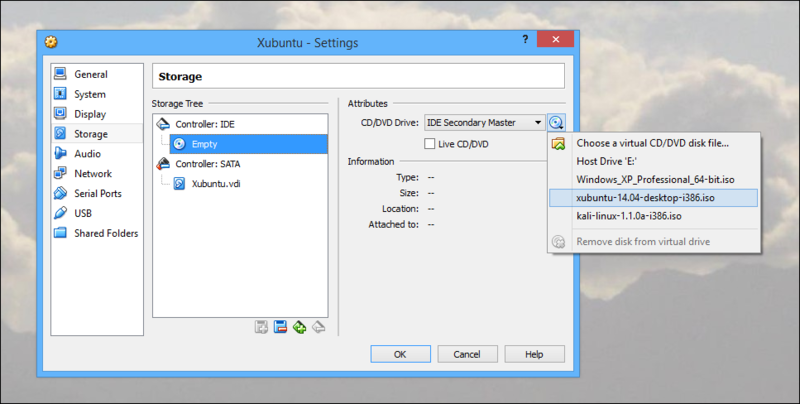 Then in the right pane, under the Storage Tree, select the Empty CD icon and browse to the ISO file you downloaded. Now when you start the Virtual Machine it’ll treat the ISO like a physical CD which will allow you to install the operating system just like on a real computer. Have fun breaking and learning Linux! Rejoice! 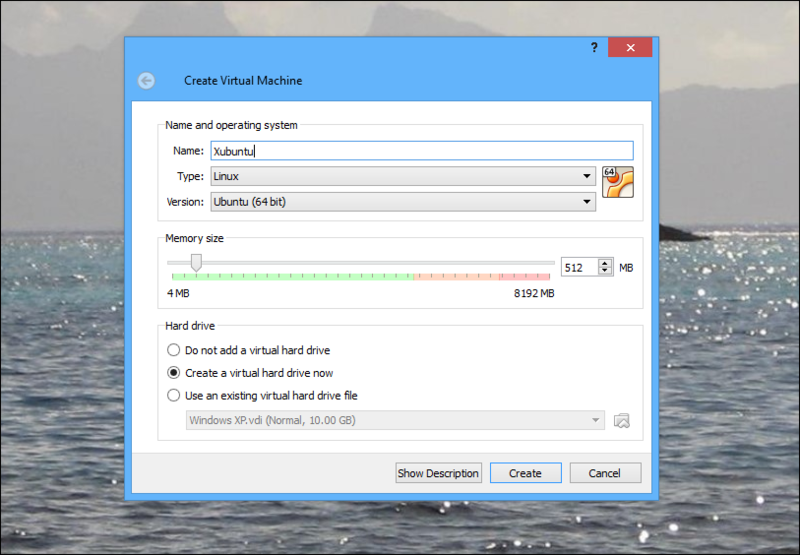 You can now format, infect and destroy your Virtual Machines as you see fit! 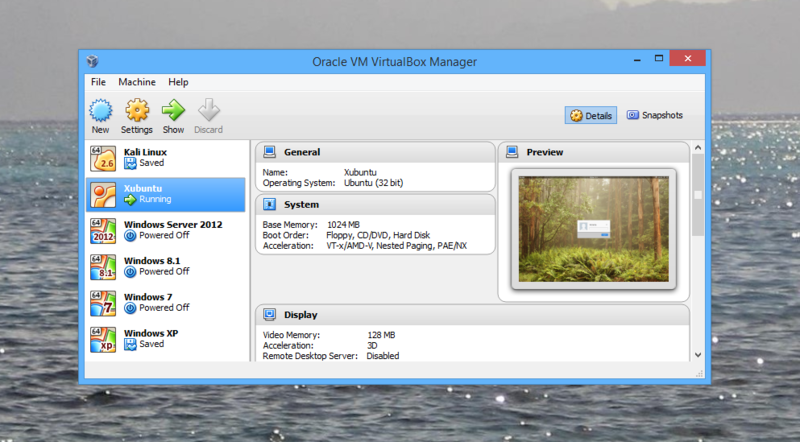 I love VirtualBox because it helps me learn new operating systems and understand how networks work. 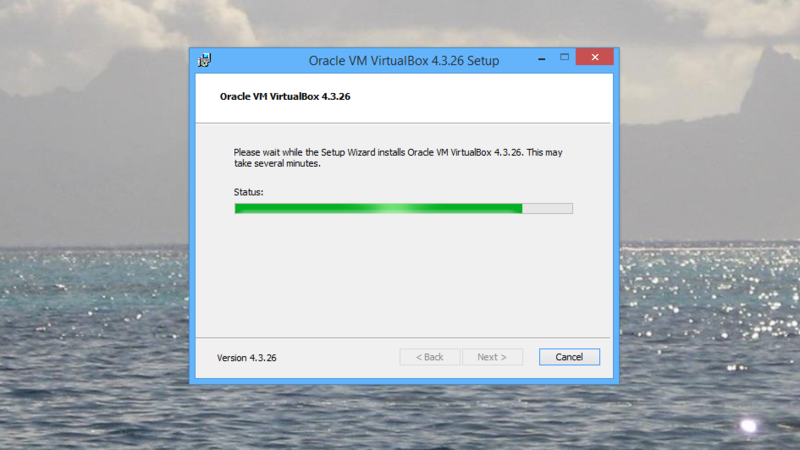 How do you use Virtualbox? Drop your comments in the box below and I’ll update my post with your suggestions. I installed VirturalBox but cannot see how to get it to run. Do I have to start it from a terminal command line? Just use plain language, no one wants to figure out what you are talking about. After you have created an new image in VirtualBox manager you can execute it by just double clicking the VM icon in VirtualBox manager. This will launch linux within windows. In the case of xubuntu, first time around it gives you an option to “install Linux”, which I declined. When you exit you can save the image, which means it won’t annoy you asking to install linux on your machine every time you open your VM.